You can browse the applicactions below or choose one from the dropdown menu above. 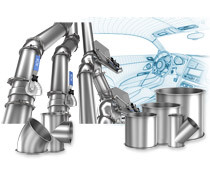 JACOB offers several specific advantages for customers from plant engineering, planning and engineering offices and architects. 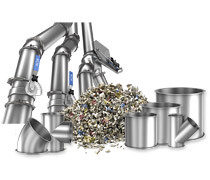 Our pipe systems are used widely in all sectors of industry, and around the world by plant engineers and planners. Save time on your construction drawings by simply copying in the JACOB pipe system parts to construct your pipeline. JACOB has formulated some information specifically for our customers in the food industry. 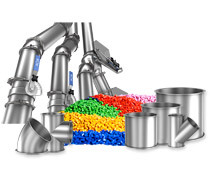 This includes, for example, baking operations, the meat-processing industry, the spice industry, the confectionery industry, coffee roasting, breweries/malting, the milk-processing industry (milk powder, dry products) as well as the tobacco industry. JACOB has formulated some information specifically for our customers in the cereals industry. 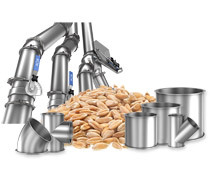 This includes, for example, the grain processing industry, mills, animal feed production, special milling operations, processing, leguminous plants, mixed feed production, seed treatment, potato processing and starch manufacture as well as sugar factories or salt processing. Possible use: Bulk goods pipes and return air transportation, from transportation of the raw product to the final product (running through the different production stages), product transportation systems, e.g. 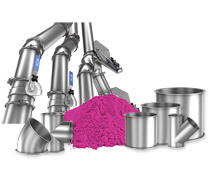 for granulates, fresh air feed, air extraction systems can contain dust or aerosols. 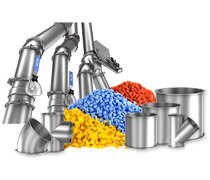 JACOB pipe systems are used widely within plastics production or plastics processing. Possible applications: All types of conveyance of dry bulk goods, whether pneumatically or in gravity pipes, as well as for dust-separation pipes or air extraction of product transportation systems. Applications e.g. 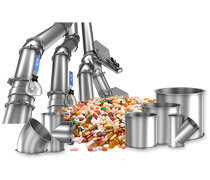 for granulates, fresh air supply, air extraction systems that can contain dust or aerosols. 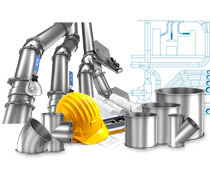 JACOB pipe systems are present in all industries. We are always creating customer-specific solutions. 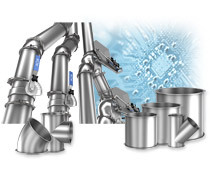 Our subsidiary in Gransee specialises in special solutions. 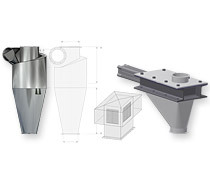 Some customer specific solutions are now produced in bulk quantity when requested.